Beth was wonderful to work with through this emotional process of selling our house. She was kind, helpful, and answered any questions we had in a timely fashion. Beth and her team decorated our house beautifully to get it ready for pictures and so that it would sell better!! I wanted to take everything with me. She priced our house right so that it would sell quickly and not sit. I highly recommend Beth and her team! Beth did a fantastic job in selling our mother’s home. Through pricing, marketing, and staging we had an offer above listing price in less than 24 hours. And her experience, patience and consistent approach guided us through the process to closing. Awesome job. Working with Beth was great from start to finish. She staged our home beautifully, never bothered us unless it was important but sent several helpful emails with things to remember and tips for a smooth sale. She always answered our questions and concerns in a timely manner and just made the whole experience an easy one. We would definitely recommend Beth. Obvious to us very early that Beth has been selling homes for a long time. Our house had an offer we accepted after three days on the market. Her staging of the house was probably the reason. Awesome job! Beth is great to work with. She is very responsive, has a great, friendly team of individuals and goes the extra mile to make sure your home looks its absolute best! I would highly recommend Beth if you are looking to sell your home! Beth and her team were outstanding. We were absentee sellers (overseas military). Any small issues or problems never developed into bigger problems because of Beth's attentiveness. Excellent pricing advice; excellent marketing and home staging; excellent communication from pre-listing through closing. We highly recommend using Beth and her team to sell. Beth is a real pro! Her knowledge and experience were invaluable. We’ve used her expertise twice and it really paid off. This year, she staged our home and gave great advice on preparing to sell. "Beth's knowledge of the area and years of experience were invaluable to us as buyers. Beth was always friendly, helpful and honest when answering my questions. We told each other over and over again throughout the homebuying process how happy we were that Beth was our buyer's agent." "Was very responsive and helpful in answering process questions. She even answered emails at 11pm. Very personable. Would recommend. She also provided service provider names to help fix and ready my old house to sell." I cannot say enough good things about Beth. She helped make the home selling AND buying experience way less stressful than it could have been. She doesn't charge an insanely high rate and she stages your house for free. You honestly can't beat her or her team for service. "Beth is very friendly, accessible at any time, provided a number of information documents to help with the process of buying a home. On the day that closing was scheduled there was an issue regarding the financing, Beth was very understanding, and everything was resolved, and closing was successful." Motivated home buyers and sellers rely on reviews to select a strong agent. When you have more reviews, you give your future client a reason to reach out to you. "I highly likely to recommend Beth Lube regarding all of the above-mentioned. I couldn't have had a more experience, caring, and patience lady to take on the task that I had to overcome. I Thank You for hanging in there with me. I will never forget all that you and your team have done for me." "Beth was very helpful in selling my house. House sold in just a couple of weeks. Beth would email me back very quickly on any questions I had. Thank you, Beth :-)"
"Beth was super friendly and made us feel so comfortable with her we had her sell our rental house also. Her team did an amazing job staging the houses. Highly recommend working with Beth and her team." "Beth's team is top-notch, all the way around. This was the first time we went through the selling process, so Beth's expertise was incredibly helpful as she let us know what to expect throughout. Her beautiful staging helped get us an offer on the very first showing! We also purchased a house during this time, and Beth's team was always available for showings, making it super convenient. The entire process - from listing and selling our old house, through showings, writing an offer, and closing on our new house - went far more smoothly than we expected, and it's all because of Beth's knowledge, experience, and hard-working team. We won't hesitate to recommend her to anyone looking to buy or sell around Omaha!" "Beth knew the market, sent me frequent updates of new, current listings that met my price and list of must haves! Was available regularly to meet me at houses I wanted to see. Beth worked with my lender to make process of buying home smooth!! She also sold our house in past, getting offer after first open house, after she took over our listing (had been on market 9 months with different realtor. Beth is awesome!!" I was very pleased with Beth's experience when purchasing and selling my previous home. I would highly recommend her for her long time experience and thorough explaining about any questions one might have when purchasing a home. We would definitely recommend Beth to our friends and family. As our buyer's agent, she and her team were always available on short notice to show homes. She provided sound advice and helped guide us through the buying process. Thanks Beth! Beth was very responsive to all of my emails and was even willing to show us houses on Thanksgiving morning! She goes above and beyond for her clients and even when she wasn't feeling well, she had her husband meet us and go through the walk through. Definitely recommend Beth for first time home-buyers, she knows her stuff and has your best interests in mind. Thanks Beth (and Charlie)! Beth worked very hard to sell our house. She always answered our questions and used her knowledge to guide us through this process. We highly recommend Beth Lube. Beth not only handled our unique property management issues (moved for work 6 times) in an outstanding manner, she also took care of us on our sale. Professional is a word used way too much, but Beth is it, the sale was smooth even when we were in the middle of a national forest and unable to be contacted. I would recommend Beth over and over, she is a true professional in an industry that is full sharks. Outstanding Realtor and person. Personal. Professional. A friend. She was very efficient and brought extensive knowledge of our area and buyers with her. Very non-intrusive. She knew the market well! Beth Lube is a gem to work with and a wealth of resources! We are extremely grateful for her expertise and guidance, and we highly recommend her professional talents. What a true blessing and pleasure to know that Beth always had our best interests in mind when searching out properties for us. Beth was absolutely fantastic throughout the entire home buying process. My wife and I were in a little bit of a rush to find that our home and she helped us calmly find that right place. Most importantly, she was extremely easy to communicate with and was open to multiple forms of communication depending on what was necessary. We can't recommend Beth and her team enough and would absolutely work with them again. Beth and her team were great to work with! they staged our home, which I felt was a huge benefit! Any time I had a question, Beth was very prompt with replying and I always felt like I was her #1 client. Only wonderful things to say about Beth! It's a rarity that I give anything or anyone a five star review. I wish I could give her six. Beth was from start to finish the best realtor we could have imagined. I know that our house would not have sold as fast as it did (59 hours!) without her insight into the market and her creativity in staging our home. You won't find anyone more experienced or more amiable to work with in Papillion. She's just the best. Period. Had a great experience with Beth, selling your house is very stressful and she was calm all the way through the process, gave us good advice, kept our stress levels low and sold our house in 3 days. We had no surprises as she was upfront with us from the beginning. Thank you Beth. Beth was so wonderful to work with! She is absolutely an expert in the Papillion area and all areas of real estate. She was so patient and helpful with every step of the selling and buying process. We would have been lost without her. Sometimes in real estate you need someone to stand up for you and protect you from buyers who have unrealistic expectations. Beth did that for us and so much more. We have bought and sold a few homes with Beth's assistance. She has an extensive amount of information about the history and future plans of her communities. Her negotiation skills are top notch. And last but not least she has office staff that provide excellent support. Beth is the Best. Beth is the Best! She listed our house in Papillion last August and we sold it in September. She was always available when we needed her and helped us through every step. You won't find a better agent. If you are needing an agent in the Omaha area I would highly recommend her. Janet Miller and I were very fortunate to work with Beth Lube. She was extremely helpful and responsive to our goals and needs. I highly recommend her to help in all of your Realty needs. Beth and her team staged our home to sell; answered all of our questions; was upfront about everything; stuck with us for the long haul with a somewhat specialized property; and kept her sense of humor along the way. We're using her as our agent for the new home we're building now. I was very happy with using Beth Lube to sell my home. There were no surprises and I was kept informed at all time. I would use Beth Lube again without hesitation. Beth Lube recently helped us list and sell the home that she helped us purchase 6 years ago! She was always available and responsive. Her team was helpful and the sale went over far faster than we thought it would. Thanks, Beth! Beth has been our agent for three different transactions over the last 13 years. We strongly recommend her whether you are buying or selling. She stays on top of all the steps during a transaction. The interest of her clients is always her priority. Her expertise and knowledge of the current market is invaluable. FYI - we are both retired real estate agents. Hire Beth as your agent, you won't be disappointed! We have used Beth as our realtor for years! She's always been very friendly, personable and professional! She knows her stuff! I would highly recommend anyone who's looking to buy or sell to call Beth. She is the best! Don't mess around with realtors who don't call you back or don't treat you like their only customer. Call her today! Beth helped sell our house in two days, at the price we wanted. She and her team staged our house to perfection and managed the entire sale process very effectively. Beth is extremely efficient, responsive and overall an excellent realtor. We can see why she is among the top realtors of the state! Beth came and viewed the house I was selling. The house was empty so Beth staged it and it was beautiful. She kept me updated on everything and answered all my questions and concerns. She has a very professional team that works for her. She sold my house in just 12 days. We have another house to sell within the next month or so and we will be calling on Beth with Remax for sure! Thank you Beth! Beth is very knowledgeable and helpful. She has many years of experience and is upfront and honest. She helped direct us to an area where we are very happy with our new home. In addition, she helped us sell our house in a professional manner. She is very easy to work with and answered our questions in a very timely manner. Top notch service from initial meeting to closing. Professionally staged, automatic showing notifications, tip on selling my house etc. Beth and team were there for me to answer questions 24/7. Beth has been great with us. She is very knowledgeable, professional and accommodating to everyone’s unique necessities and situation. We absolutely love working with Beth and would highly recommend her to all my friends who are looking to buy or sell a house. Beth has been in the real estate business for a long time and she is "very good" at what she does. She is thorough, responsive at any time day or night and has a team that all work together. I feel very fortunate to have selected Beth to be our real estate professional. We have only a professional relationship with Beth, but would recommend her to anyone buying or selling a home. To me she also has a great team. They did a good job getting the house ready for sale. We had to buy a home fast after receiving orders to Omaha. Beth and her team's expertise, quick responses, and doc-u-sign software made the process quick and easy. We would definitely recommend Beth and use her again. Beth is amazing! She stayed up until all hours on the Friday of Memorial Day weekend in 2014 to get an offer and counteroffer processed on the house I want to buy! She has been available constantly to push the purchase of this home through as quickly as possible. We worked with Beth when we bought our house and again when we sold it two years later. She was amazing both times. Besides being charming and fun to work with, she knows her business VERY well. We were kept informed every step of the way, and she and her team helped troubleshoot through the entire process, making everything so easy. I will recommend her to everyone who will listen. It's so nice to find someone who is truly professional, on the cutting edge of technology, and a pleasure to be around. Thank you, Beth and team, for everything! Beth is amazing to work with and I would fully recommend her to anyone looking at buying or selling a home. Before selecting her as our agent, we did not have a prior relationship with her. I am very selective, however, as to the people I do business with, especially in a transaction as important as buying/selling a home. Beth is extremely knowledgeable in the industry which was apparent at our first meeting. Additionally, she is easy to work with, cares about your concerns and is very timely on everything. I would not hesitate to use her again and I will be sure to tell others about my wonderful buying/selling experience with her. Beth and her team were great! Our house was on the market for less than two months when it sold! In that same week we purchased our new house. Beth and her team were always very responsive and friendly. I would recommend! Beth has been a blessing. She knows her business and her and her staff are very responsive and helpful every step of the way. If you are looking for an agent, then look no further Beth is who to call. Respectfully, Nikki B. As a first time buyer I was very impressed with Beth's patience and knowledge. So when we decided to sell the house going with Beth was an easy choice. Beth and her team were great with marketing the property and even staged it so that it would show well. Even though it took a while to sell, we had a lot of guidance along the way. When the offer was finally accepted Shelly did a great job helping me coordinate repairs and getting some weekend appointments scheduled since we moved so far away. I would recommend ReMax and Beth Lube to anyone. Working with Beth and her team at RE/MAX has been wonderful. Beth is very professional, quick to respond at all hours with answers to any question I had, accommodating to meet my schedule requirements, and the perfect realtor. I would highly recommend Beth and her team to meet your home buying/selling needs! We contacted Beth by referral of family members who utilized her services (She sold their home and assisted in finding a new home). Beth and her team have been very responsive and professional throughout our home listing. We hope to be able to purchase a home through her services as it will reduce the service costs (Selling/Purchasing based on home cost). Beth has awesome to work with! She is very very good at what she does. She was very honest and always had our best interest at heart. She was extremely prompt getting back to us and we had a wonderful experience. I would Defiently recommend her to anyone looking for a home. Beth Lube and all of the people in her office made our home buying experience very easy and problem free! Her coworker,Tom, did a great job with helping us tour potential homes. Beth did a phenomenal job ensuring every step of the process was done completely and flawlessly. We had easy access to all documentation at all times. She and Tom made it easy for us to use our house hunting trip effectively and efficiently, All questions were answered quickly and thoroughly. Shelley made closing on our home very simple and easy. Closing was completed without any issues in a very pleasant manner. The professionalism, in-depth knowledge, thoroughness, and experience was most appreciated. Beth's services were tremendous. From marketing to staging the house to her expert advice on preparing the home, Beth was the consumate professional whom I would recommend to anyone. I would definitely use her again. Beth and her team have done a great job in helping me and my family find our new home in Omaha. I would recommend Beth and her teammates Tom and Shelly to everyone who will be looking for a professional, caring, and competent realtor! Wow...what can I say except we LOVE Beth and her staff! They found THE perfect home for us! Beth, herself, has been in our new home...walking around the perimeters of the "basement" area where all the utilities are...sump pump etc. She was in bare feet...and announced to us..."This is all DRY...and there is NO mold here!" How many folks have you seen do that? Shelly Swift...her Closing Specialist...was amazing, too! Always got the answers we were looking for in a timely manner! She even said she would have come out or had someone in the office come out on the next week day we were waiting for to get the gas done! Tom Dobson, her agent who showed us homes for two days was a delight to work with...we really enjoyed his viewpoints and helpful suggestions during the entire experience with the Beth Lube office! You can't do better than this group! THANKS, SO VERY MUCH FOR EVERYTHING, BETH, AND ASSOCIATES! Very nice and helpful. She helped me buy first home, I love the house. She has a lot of experience on the job and it shows. Beth goes out her way to drive place to place for her customers, and always replied fast to all our questions. Beth represented us when we bought our house and when we sold it 7 years later. She is patient, knowledgeable and technologically advanced for buyers and sellers who live out of state. Wonderful staff! Beth Lube and her team were wonderful to work with. She worked non stop with my wife and I and found us a great home for a great price. Also very patient with our sometimes wild and loving 2 year old while looking at potential homes. Will definitely work with her again when it's time to sell. The transaction of buying a house with Beth was easy and smooth and she was always there if we needed her she had great knowledge of VA loans and we were very impressed with her. Thanks Beth. We used Beth Lube in buying our home and selling our home. Beth's biggest asset was if you needed to get in contact with her, she responded in a matter of minutes either by e-mails or phone. She is very easy to talk to and explains things which a novice home buyer or seller can understand. All who attended thought the house was beautiful. We would definitely reccomend her to anyone selling or buying a house. At closing, she went above and beyond on an snowy day to hand deliver our final paper work and check. When we moved back to Bellevue NE years ago, Beth helped us find a wonderful home. We also used her to help sell that house, when we found out we would be moving back to Nebraska it only seemed natural to call Beth. She is very trustworthy, and takes the time to answer your questions and concerns. I can not recommend her enough. She is an excellent person to work with in regards to selling or buying a home! Thanks to Beth, the process could not have been easier!! Beth and her team of professionals were wonderful to work with. I was in Germany for all but 10 days of house hunting experience. All I had to do was fly in for a few days, choose a house out of the many they found which matched my criteria, and sit back while they took care of everything else. Excellent, excellent, excellent!! Beth is very knowledgeable and pleasant to work with. She makes the selling process easy and can answer any questions you may have. Her team is top rated, bar none. I would highly recommend Beth and would hire her again if I were buying or selling my home. Beth and her team are amazing! They are very professional and knowledgeable in areas of real estate. Beth is a reliable hard worker and always made time to meet us for a house showing. Whenever we had questions, Beth would always return our call and respond promptly. We highly recommend Beth for all real estate needs, whether selling or buying a property. Thanks Beth for all your hard work!! Simply the best. Beth Lube (and her team) are amazing! They work day and night for you. For real, I don't think Beth ever sleeps. She worked hard for us, but found us the home of our dreams. When we had questions or concerns she was always right there for us. She would walked us through everything and was honest with us. She has become cherished among my family, and there is no one else we will ever turn to. Thank you, Beth! Beth was so amazing! She returned texts within mins and was always available for questions and showings. She has a personality everyone will enjoy. Thanks Beth! We attended a class last fall that Beth Lube, our real estate agent, was teaching in Omaha NE. The class was "How to Stage Your Home" and was offered to anyone. The bonus was if we retained Beth as our agent, all of our home would be staged by her team for FREE!!!! We were so excited to see how she transformed our house into a home in just a few days. It was then placed on the market. Beth and her team of wise professionals kept us informed and gave us such sound wisdom... we never felt that we would be at a disadvantage with the advice we received. I would highly recommend the REMAX team of Beth Lube for any and all of my real estate needs. Unfortunately, we have moved to Michigan and may never have the opportunity to work with Beth and her team again, but I will most certainly refer all my friends and family to Beth in the future. Today, we closed on our home and are completely satisfied with the results... My husband and I are Pastors, so we pay close attention to the character of those who advise us... never did we once question Beth's integrity, honesty, and character. In a tough market, Beth Lube and her team were able to ensure the sale of our home, seeing us through till the end and managing many of the little details we could not due to living in another state. Thank you for such great work and customer service. Beth Lube and her team are the best. They advertised my home everywhere. The whole team is competent, caring and professional. When I experienced a buyer who went outside the bounds of our contract - Beth was there to step in and protect my interest. Beth and her team are definitely the right choice! We relocated to Omaha, NE from Myrtle Beach, SC, and Beth was recommended to us by a co-worker whose family had previously been assisted by Beth. 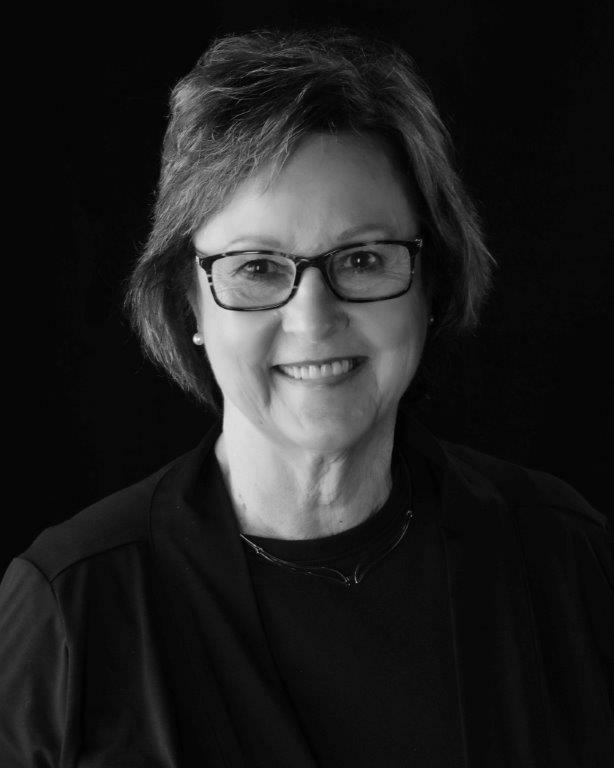 Knowing nothing about the area prior to our move, Beth's expertise, gained through her more than thirty years as a realtor in Omaha, was invaluable. She taught us about the local real estate market and gave us a wonderful education about communities and neighborhoods. Moreover, she quickly understood what type of home would best suit our family, and she patiently toured us around until we found the perfect fit. Once we chose our home, she advocated on our behalf throughout the offer and closing process, and her team provided us amazing assistance and recommendations as we navigated through all of the other details surrounding our move. We could not have had a better experience, and I would confidently and enthusiastically recommend Beth to anyone needing a realtor in the Omaha area. Beth and her team were great to work with. They kept us in the loop on each and every detail with our house being shown and were aggressive when it came time to seal the deal. Not only were the team members professional, but always friendly to work with! Beth Lube's Team is AWESOME! They accomplished in a couple of months what another realtor was unable to do in 7 months. Her marketing and presentation strategies make all the difference. The online presentation of our home was fantastic. The Team kept me apprised every step of the way as to what was happening. I would whole-heartedly recommend Beth Lube and her Team if you truly want to sell your home. Beth has great people skills. No wonder she has so many listing. She was great to work with alway getting back to me with whatever questions I had. Beth and the team did a great job at staging the home. She also has a very efficient team. I will recommend Beth to any one I know that is planning to sell their home. Thank you Beth and Team. Beth did a fabulous job marketing my house. We know it is a tough market and lot of houses are up for sale, but the team did not give up. They kept coming up with new ways to market the home. Because of the volume she does, We were reluctant to sign with her to sell our house, but her staff gave lot of support. We especially like the auto messaging when people came and looked at the house and gave instant feedback. Great Feature. I highly recommend Beth Lube's Team. Great Job! Beth Lube was so helpful and friendly! Not only was it our first home buying experience, but we were out of the state and in a different time zone! She was great about keeping in touch with us and e-mailing whatever we needed! I would definitely recommend her to any of my friends! We have known Beth for 27 years and have bought and sold houses with her over that time. When we got ready to sell our current home and build a new one there was no question that Beth would be our agent. She has helped us immensely through both the purchase and sale process. She has an excellent understanding our market and the real estate business. She is very professional and thorough and wonderful to work with. Her friendly attitude is a big asset during what can be a very stressful process. When we got ready to sell our current home we were not sure how long it would take. We were prepared for the long haul if necessary. Three weeks after we listed with Beth the house was sold. I would highly recommend Beth to anyone buying or selling a home. She is just the best there is. Beth and her team are TRUE professionals. Beth worked as my advocate when the closing process got delayed over and over again and even had to fight off an attorney's threatening remarks. I would use Beth again and recommend her any day. I initially chose to work with Beth because she called and offered an appointment to discuss my needs in a house. She provided me with helpful information and outlined what I could expect from her. I was impressed with her sincerity and low key approach. She found properties for me to look at that were in my stated price range and location preference. We found the ideal home at a good price. I would definitely recommend her to anyone needing to buy a house. We chose to work with Beth from her list of qualification and knowledge of the market. We expected to find a house that we would be happy to call home and Beth’s team did this for us. Beth and Team listened to what we were looking for. I would be happy to recommend Beth and Team to any of my Friends and Family! Our expectations were high and Beth Lube met them. I was impressed with how easy the process was. This is the first time that we sold a home and we really didn't know what to expect. Beth and her staff are extremely knowledgeable and helpful. I'm a young, first time homebuyer and didn't know ANYTHING about what it took to get a home. I also had a VERY limited budget. Not only did Beth and her team work with me for over a year to find the perfect home, they explained every step of the way. Between my mortgage company and Beth and her team, I had a very smooth closing and am now a very happy homeowner. Beth is patient and has a lot of experience in real estate. I would definitely recommend her to anyone who was looking to buy a home. Beth and her team were extremely helpful during our adventure as first-time home buyers. Beth's experience and friendliness made the experience less stressful for us. I would definitely recommend Beth and her team to anyone thinking about buying or selling a home. Beth and her wonderful staff were patient and kind with us as we looked for a home in a small town near Offutt AFB. We were especially impressed with Beth's tenacity in representing us at closing. She was great! She has also been available for follow up with a few problems we encourtered after closing. We would highly recommend Beth and her team to prospective property buyers! We were very pleased with Beth's professionalism and expertise of the Buccaneer Bay housing market. She and her team, who specialized in specific areas of the selling process, were always friendly and knowledgeable and returned all calls in a timely manner. They also e-mailed us several helpful flyers during the course of our sale which were informative and gave us peace of mind throughout the process. Beth and each of her team mates kept us up-to-date on everything we needed to know and do to make the selling of our house go smoothly. We have already recommended Beth and her team to our neighbors and friends as we are confident she would do a good job for them when needed. We were extremely pleased with Beth's professionalism and attention to detail. She is a leader in her field and her honesty throughout the entire process was appreciated! A+++ realtor. Handled the sale of our home - exceptional. We were able to sell from across the country with no hassles or problems. Beth made the entire process so simple and was always available to answer questions. She sold our house in record time in a bad economy and we didn’t have to sacrifice on the selling price to do it. I would recommend her to anyone. Beth exceeded our highest expectations. Her knowledge of the local real estate market is second to none. We were impressed by her work ethic and her professionalism. I highly recommend Beth Lube without reservations if you are buying or selling a home. You will not be disappointed. When I was beginning to look for a home to purchase a co-worker had told me about Beth. I contacted her and was totally impressed. I met with Beth and one of her team members and felt at ease with them. The very next day we were out looking at homes. When I found the house they worked with me every step of the way. We were in contact nearly every day about the house. Beth and her team have been wonderful through every step of buying a home. I chose Beth Lube because I had worked with her 15 years ago and because she had sold a home in my neighborhood which had sat a long time. Beth was exactly what I expected: diligent, personable, savvy, willing to tell me the truth even when I didn't want to hear it. I was most impressed by her knowledge of her business, as well as her attention to ethics. Her conscientious and attentive staff are also a positive reflection on her. I would tell a friend that Beth isn't cheap, but she's worth it. And I would tell someone that if he/she wanted to "get 'er done," to hire Beth (and her staff). Beth exceeded my expectations. I wanted an honest, knowledgeable and hands-on professional to sell my house. Beth delivered this and more. She promptly responded to all my questions, provided routine updates and made the entire process go as smooth as I could possibly want. I would say that Beth will be an agent you can count on. She provides consistent access, feedback and follow up; she cares; and she delivers. What impressed us with Beth and her team is how they staged our home and gave us all of the tools we needed to sell our home the right way. We have already recommended her to our friends and will continue to do so! I chose to work with Beth based on familiarity of her name in the area. I was hoping to be able to list the property at a price satisfactory to family. Beth suggested a lower price but was quite willing to work with the price we had in mind. When we did get an offer after it had been on the market for quite a while she suggested not accepting the first offer we received as we were tempted to. Beth knows the market, knows what she is doing, and does it well. She is very easy to work with and did everything I asked of her. I would recommend Beth for the exact reasons I have stated above. Great Agent, willing to work with you and for you. Recommend her to everyone selling or buying a house, Honest and caring agent. We met on a Saturday afternoon. At first glance, I thought she is very laid back southern slow talkin' gal. We went over the house and garage details. She gave me a price to think about. I expected a suit lady who would coo at our every whim. I wanted someone to be straight forward and honest about where we were going. Beth had done that, plus kept a level head when different issues came up on the closing. When I called she got back to me as soon as she could. Yes I will and have recommended her to friends and family. Her team is awesome too as they handled me well, especially once I understood their roles. I have told my neighbor about her, I said Bill, my Realtor is a southern straight forward gal and won't pull punches in telling what you could get out of your house and what to not to spend without breaking your wallet but yet make the house presentable. Thank you once again. Beth. I choose Beth for her knowledge of the local market and was quite pleased with her work. Beth and her staff were very professional and made every effort to keep us informed of the progress of the sale of our home. I would highly recommend Beth to anyone I know looking to sell their home. She's honest and to the point with her clients, I appreciated that. This is the second time I’ve worked with Beth Lube. Beth helped me buy a house and then later sell the house several years ago so I knew I could trust she would get this one sold too. I knew I could expect honest advice, aggressive advertising and an experienced agent that knows how to adjust to changing markets. As my agent several years ago, she walked me through buying then selling my very first home, explaining what to expect and what was next. Even though there have been other houses in other states since then, it was still very good to have someone to walk me through the process, just like the first house.